Refugee Health Connect works closely with settlement support services, general practice and hospital-based support services to increase health access for refugees and assisting them to navigate the health system. Refugee Health Connect is funded by Brisbane South PHN and Brisbane North PHN. More Information here. Healthy Start is a preventative health education project delivered by medical and allied health students working with newly arrived refugees in order to increase their health literacy. Healthy Start is currently only running in Queensland, with joint efforts from a committee of students in HOPE4HEALTH (Griffith University), MAD – Making a Difference (BOND University) and TIME – Towards International Medical Equality (University of Queensland). Teaching modules include General Health, Nutrition, seeing a GPs, accessing a hospital, Men’s Health and Women’s Health. These modules have been developed with the assistance of experts in the field. Download the Healthy Start Evaluation Report 2016 conducted by the Mater Centre for Integrated Care & Innovation. See photos of the workshop with the Iraqi and Syrian community here. The Brisbane Refugee Health Advisory Group are 11 Health Development Consultants who are all regarded as leaders in their respective communities from South Sudan, Eritrea, Burundi, Rwanda, Liberia, Somalia, Iraq, Syria, Afghanistan and Myanmar. Senior Program Manager , Email: Paula.Peterson@mater.org.au or phone 07 3163 3718. Some PHNs across Queensland have established Interpreting for AHP Program to support access to private allied health services by non-English speaking clients and ensure free interpreting services are available to AHPs working in private practice to communicate with non-English speaking clients. The Program enables registered AHPs to receive FREE access to Immediate phone interpreting, Pre-booked phone interpreting and On-site interpreting. Click here for more information in your region. The Ballina Region for Refugees Homestay Program offers respite for asylum-seekers and refugees through short-term stays with host families in the Ballina region in far northern NSW. The Homestay Program aims to build a bridge between asylum-seekers and refugees and the Australian community through our common humanity. Ballina Region for Refugees Inc is totally operated by volunteers. More information here or E:homestay@ballinaregionforrefugees.org.au for further information. 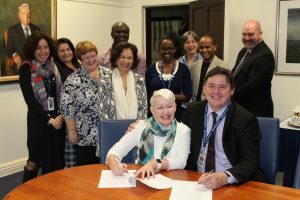 Buddies is a Sunshine Coast group advocates for just and compassionate treatment of refugees, consistent with the human rights standards which Australia has developed and endorsed. Buddies support policies towards refugees and asylum seekers that reflect respect, decency and traditional Australian generosity to those in need, while advancing Australia’s international standing and national interests. They are an independent community group and meet on the 4th Sunday of each month at 11am, 24 King Street Buderim. More information click here.